The College Council is the highest decision-making body of Jackson..
Prof. Samuel K. Afrane – Chairman, President, Christian Service University College, Kumasi. Prof. (Mrs) Margaret Frempong – Department of Molecular Medicine, School of Medical Sciences, KNUST. Dr. (Mrs.) Ernestina Fredua Antoh – Director, Bureau of Integrated Rural Development (BIRD), KNUST. Mr Samuel D. Gyang – Retired Regional Director of Education, Aburi. Mrs. Jemima Kissiedu – Retired Assistant Director of Education, Kumasi. Mr Anthony Gyasi-Fosu – CEO, Sinapi Aba Trust and Sinapi Aba Savings and Loans Ltd, Ghana. Lawyer Kwaku Frimpong – Director, Legal Aid Board of the Ashanti Region. Mrs. Theodosia Wilhelmina Jackson – Principal, JCE, Kumasi. Prof. Ebenezer Asafua Jackson – Director, JEC, Kumasi. Mr. Daniel Adjei Mensah – Secretary, Ag. Vice-Principal (Admin), JCE, Kumasi. Mr. Owusu Afriyie – Asst. Secretary, Ag. 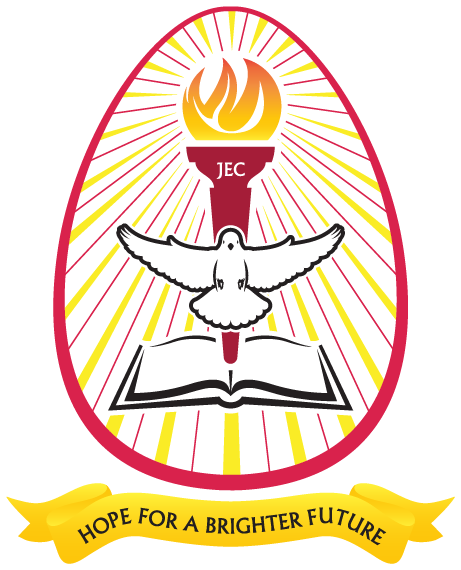 Vice-Principal (Academic), JCE, Kumasi. Yussif Ibrahim – National SRC President, JCE, Kumasi.